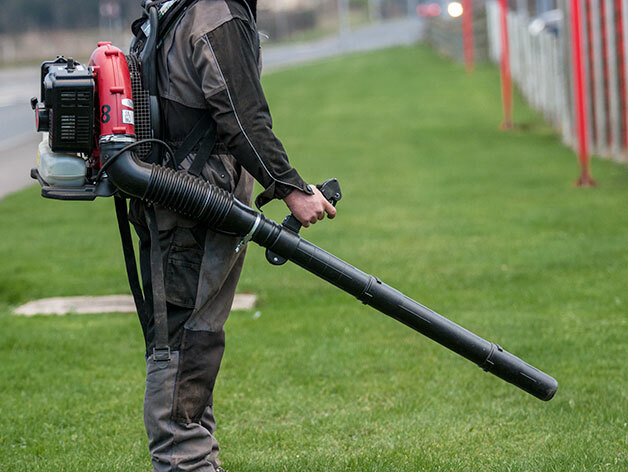 A powerful 2 stroke leaf and debris blower for cleaning large areas, paths and car parks. Supported by a back pack harness. When required a battery alternative blower is available for use in build up areas or at locations where engine noise might be disruptive.